It’s into the evening hours that magic happens. Those early hours of softening light and the promise of the night ahead. The Into the Night collection was inspired by the beauty of a warm summer evening – that moment just as the day turns into dusk and the sky turns into an exquisite golden hue. 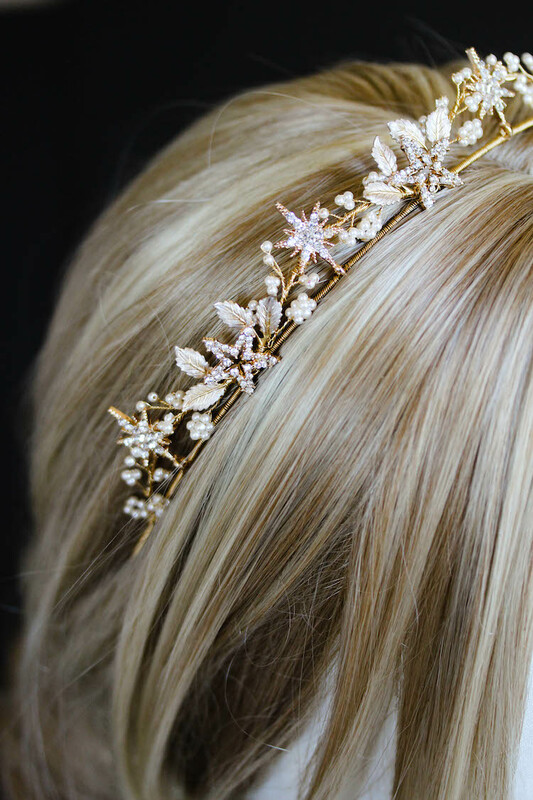 This collection offers some exquisite styling options for ponytail obsessed brides. We love the classic ponytail and love that they’ll be gracefully making their way down many aisles this wedding season. We’ve paid tribute to this chic hairstyle with our new Bordeaux, Stellar, Gemini and Stargazer styles. 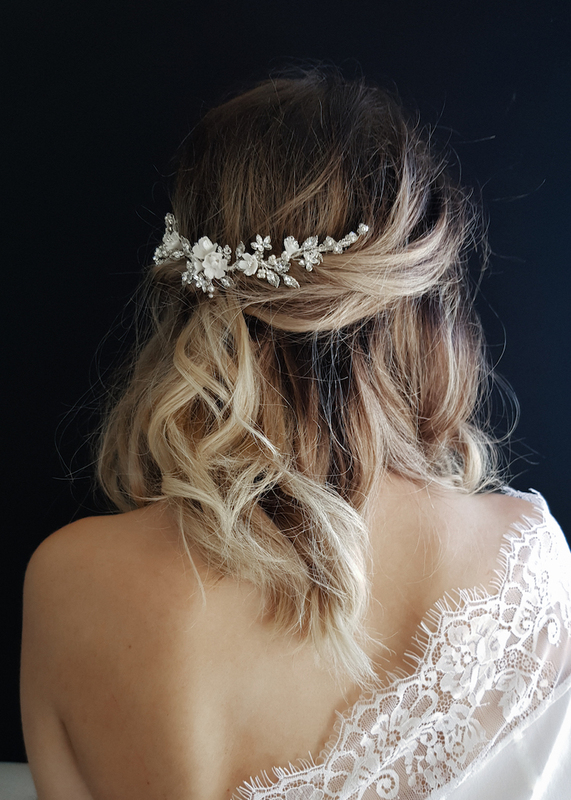 We love to help our brides express their individual style and sensibilities through their accessories on their wedding day. There are no rules when it comes to styling your look. All of our designs are designed and handcrafted in our Australian studio. We are happy to accommodate custom changes to suit your hairstyle, wedding dress, jewellery and personal style. We’d love to work with you to create something beautiful.